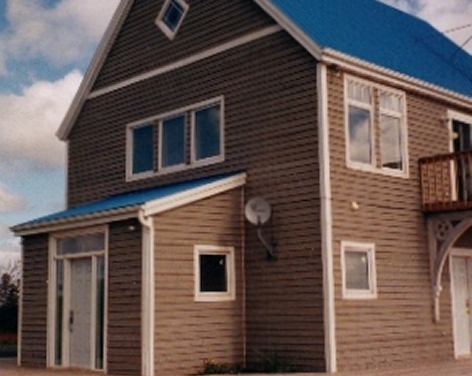 This home, on the north shore s of Prince Edward Island , is a two and a half storey, of energy-efficient construction. Designed initially as a summer home, the design allows for an easy addition when, and if, the owners require additional space for retirement. 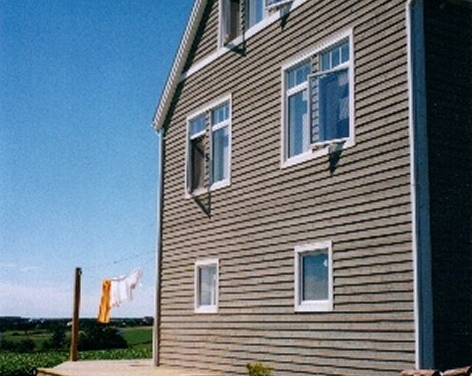 Sited in a potato field, the view to the ocean is only possible from the second story. 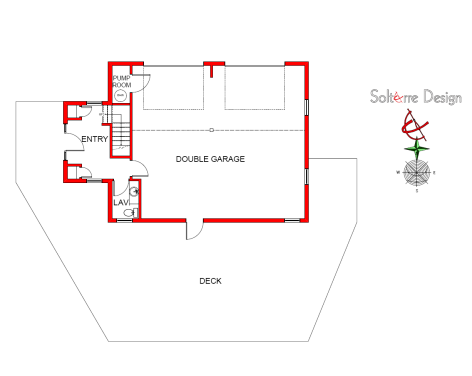 The design planned for main living spaces to be on the upper two floors. The house is also oriented to tak e full advantage of solar gains. Ground level allows for indoor parking and storage, mechanical room, entry and half bath. 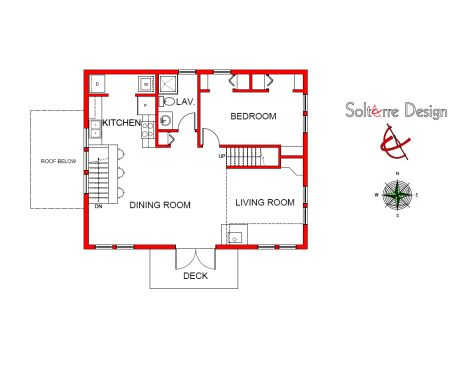 The main living level has an open concept for the living and dining room on the south, and kitchen, laundry, bath and bedroom on the north side. The loft level allows for incredible views from the office, an extra sleeping space and storage. A Vermont castings wood stove is used as the main source of heat. The supplemental heating system is electric baseboards. The windows are of fiberglass frame construction with double pane, argon-filled, low-e glazing units. The high-quality windows and R35 exterior wall construction contributes to the homes energy efficiency. Wide plank tongue and groove hardwood flooring is used on the second and third levels. Interesting braces, salvaged from a dismantled railway station in New Brunswick, support the second storey balcony.